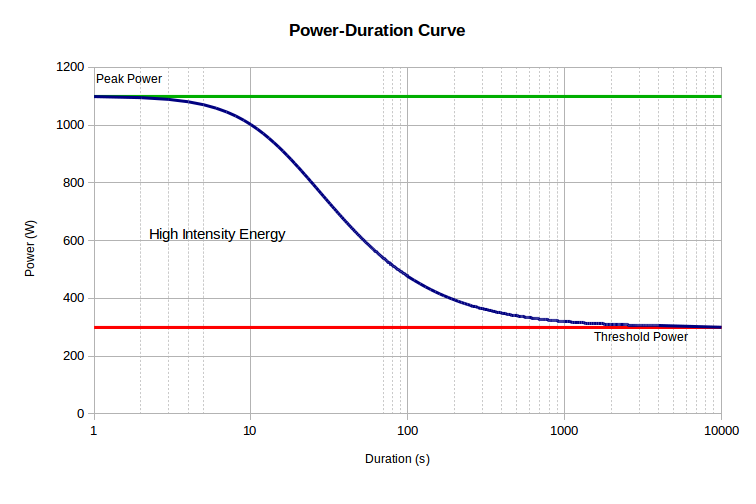 It is represented by three values: Threshold Power (TP), High Intensity Energy (HIE) and Peak Power (PP). The three fitness values are used to calculate MPA interactively and can be depicted using a power-duration curve. In principle, your Fitness Signature establishes your ability to perform during steady-state or variable intensity power.